This November Massachusetts will vote to repeal House Bill 3847. The law, signed in 2013, raised the state’s gas tax from 21 to 24 cents per gallon and automatically tied the tax rate to inflation for future years. Despite opposition by the group Tank the Gas Tax, which successfully gathered enough signatures to trigger a referendum to repeal the tax increase, the 2013 measure is a sensible solution that stabilizes state gas tax revenues for future years. 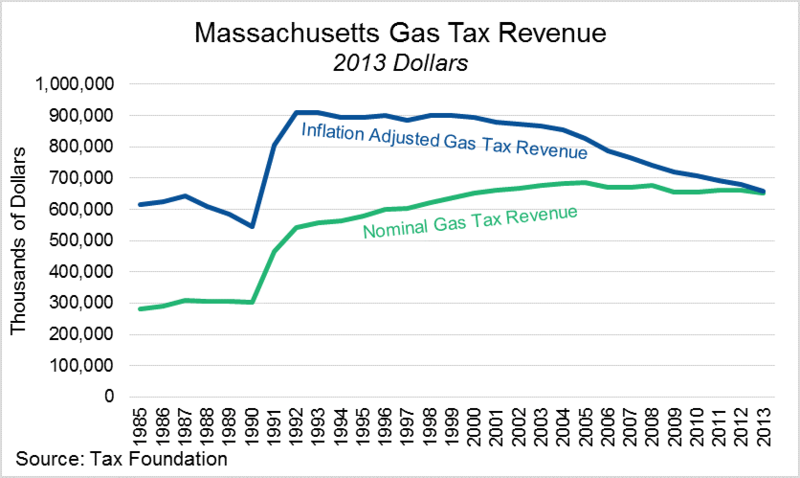 Since 1991, the last time Massachusetts passed a gas tax increase, Massachusetts gas tax revenues have fallen 18 percent after inflation adjustment while the total level of state and local gas tax collections across the nation have Increased by 15 percent. 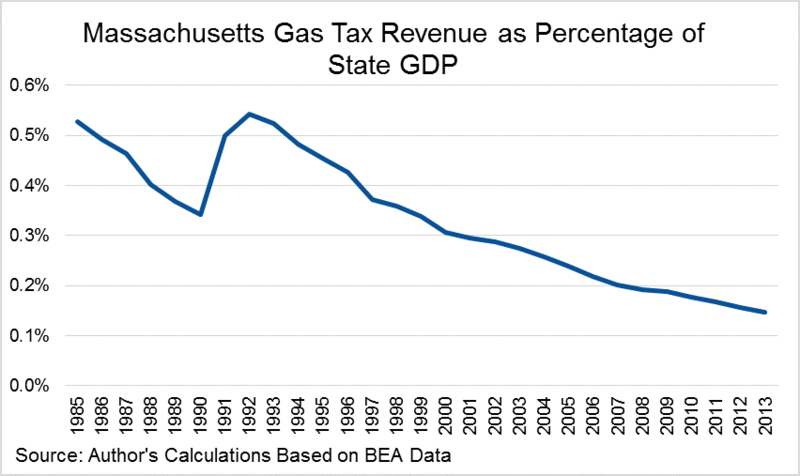 Over this same period, Massachusetts gas tax revenues have fallen from 0.5 percent of the state’s GDP to only 0.15 percent, showing that gas-tax revenues have diminished even as the rest of Massachusetts’ economy has grown. Yes, consumers may be driving less and cars have become more fuel efficient, but the gas tax’s declining share of revenue and GSP from 1991 to 2013 show that this is not the entire story. The gas tax prior to the 2013 changes failed to generate revenue at a rate to match the growth of the rest of the economy. As the Consumer Price Index increased by 71 percent from 1991 to 2013, the value of a 21 cent tax on gasoline diminished. Essentially, Massachusetts has been experiencing a de facto tax cut for that last 20 years. Raising the rate from 21 to 24 cents and indexing the tax for inflation fixes this issue. Contrary to what groups like Tank the Gas Tax claim, tying the gas tax to the rate of inflation is not an arbitrary tax hike but a way to stabilize gas tax revenues.